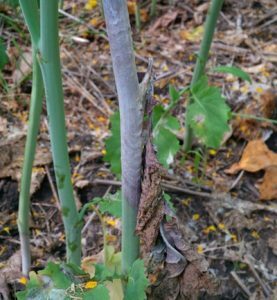 Predicting sclerotinia stem rot severity is difficult. This quiz is a review of management decisions for 2018, including a specific look at DNA petal tests. Please take a minute to do this quick survey. The three points of the disease triangle are host, pathogen and environment. 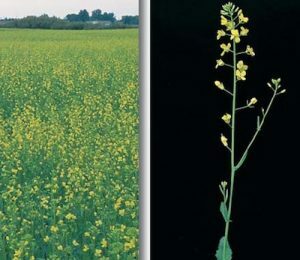 When it comes to sclerotinia stem rot in canola in Western Canada, the disease triangle hinges on one component: Environment. The sclerotinia stem rot infection cycle begins when sclerotia in the soil (left from the last time an infected crop was produced on that field) take up enough moisture to germinate and form little mushrooms known as apothecia. Spores are then released into the air from the mushrooms. 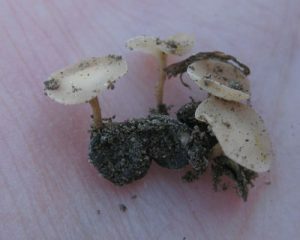 Under ideal warm and moist conditions, it takes about two to three weeks for sclerotia to germinate and release spores. 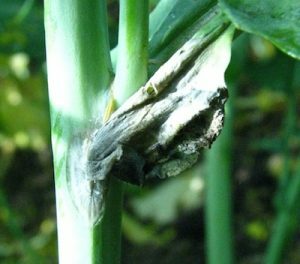 Small amounts of spores can lead to yield-robbing levels of sclerotinia in continued moist conditions. A petal test to confirm the presence of sclerotinia DNA on petals could be used to provide an indication of pathogen pressure at the time of petal collection. 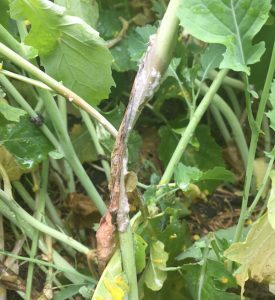 The decision to spray or not spray fungicide to limit sclerotinia stem rot is rarely easy. Consider the following three scenarios as you assess the risk situation this year. The timeline from when sclerotia in the soil first take on moisture, to apothecia germination, spore release, petal infestation, petal drop and finally canola plant infection takes up to three weeks. 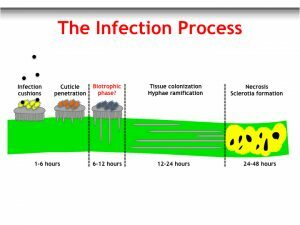 This graphic shows the final 24 hours as the fungus on decaying petals enters the plant and creates a lesion. 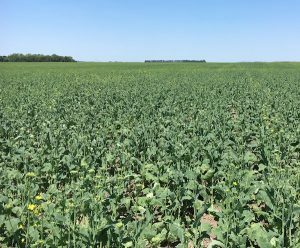 As earliest canola crops start to flower, the annual sclerotinia stem rot management conversations begin. This article describes factors that increase risk and reduce risk. Use this quick-reference table to compare key distinguishing features, mechanisms for spread, and management options for blackleg, clubroot and sclerotinia stem rot. If conditions are dry at early flower and then it rains at 40% to 50% flower, spraying at the end of the window may be effective. This would be especially true if moisture also promoted a longer flowering window due to later compensatory growth. Hot and dry or hot and humid? Hot, dry weather should reduce the risk of heavy sclerotinia infection, even if moist weather earlier promoted a lot of apothecia emergence and spore release. Hot, humid weather that leads to morning dew and a humid canopy can promote the disease. 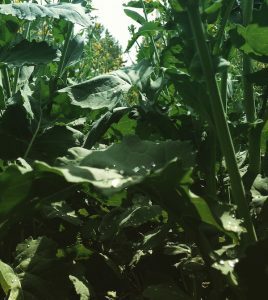 Keep in mind that even thought the sclerotinia fungus does not like to grow over temperatures of 30°C, night temperatures are often lower and will allow for fungal growth. But also keep in mind that hot weather during flowering can increase flower and pod abortion and reduce overall yield potential. 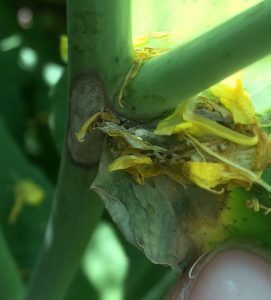 Hot, dry weather during pod fill and ripening also reduces the progression of sclerotinia within the plant.